PDF file 5 MB Best for desktop computers. ePub file 4.7 MB Best for mobile devices. mobi file 10.6 MB Best for Kindle 1-3. 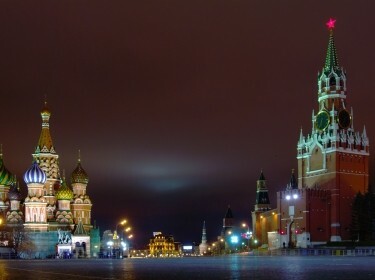 To conduct this study, RAND researchers employed a mixed-methods approach that used careful quantitative analysis of social media data to understand the scope of Russian social media campaigns combined with interviews with regional experts and U.S. and North Atlantic Treaty Organization security experts to understand the critical ingredients to countering this campaign. Farther abroad, the Kremlin attempts to achieve policy paralysis by sowing confusion, stoking fears, and eroding trust in Western and democratic institutions. RAND identified a Russian activist community on Twitter that consists of approximately 41,000 users who both consume and disseminate anti-Ukraine, pro-Russia propaganda. An opposing Ukrainian activist Twitter community also exists and consists of nearly 39,000 users spreading pro-Ukraine, anti-Russia content. The high presence of Russian-language populations in the region who descend from Soviet-era migrants and whose host countries have refused them citizenship gives Russia a sympathetic audience. Government policies prioritizing national languages have limited government outreach via the Russian language. 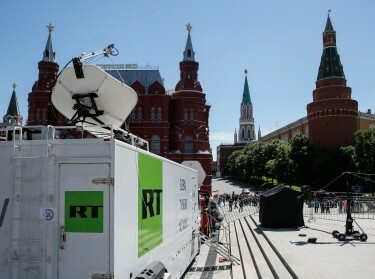 Russian broadcast media dominate in the region. Ukraine, however, has censored Russian government broadcasting and a popular Russian social media platform. Social media activists, websites, news sources, and others actively disseminate their own pro-Russia propaganda content without obvious direct support from the Russian state. The panoply of European Union, U.S., and North Atlantic Treaty Organization actors engaged in counterpropaganda efforts challenges coordination and synchronization. Heavy-handed anti-Russia messaging could backfire in the region, given local skepticism of Western propaganda. Highlight and "block" Russian propaganda (RP). Build the resilience of at-risk populations. Introduce media literacy training in the education system to help Russian colinguists and others in the region better identify fake news and other propagandist content. Consider launching a public information campaign that can more immediately teach media literacy to a mass audience. Expand and improve local and original content to displace the Russian media narrative. Empower social media and other activists in the region by identifying key influencers and offering a series of programming geared to enhance their influence potential. Train journalists and fund the creation of alternative media content. Better tell the U.S., North Atlantic Treaty Organization (NATO), and European Union (EU) story. The United States, NATO, and EU should offer a compelling argument for populations to align with the West or with individual nation-states. NATO should also better communicate the purpose and intent of its Enhanced Forward Presence units now stationed in the Baltics. Track Russian media and develop analytic methods. Identify fake-news stories and their sources, understand Russian narrative themes and content, and understand the broader Russian strategy that underlies tactical propaganda messaging. In addition, use resonance analysis to track the impact and spread of RP and influence. This research was sponsored by the Office of the Secretary of Defense's Rapid Reaction Technology Office and conducted within the International Security and Defense Policy Center of the RAND National Defense Research Institute, a federally funded research and development center sponsored by the Office of the Secretary of Defense, the Joint Staff, the Unified Combatant Commands, the Navy, the Marine Corps, the defense agencies, and the defense Intelligence Community. Helmus, Todd C., Elizabeth Bodine-Baron, Andrew Radin, Madeline Magnuson, Joshua Mendelsohn, William Marcellino, Andriy Bega, and Zev Winkelman, Russian Social Media Influence: Understanding Russian Propaganda in Eastern Europe. Santa Monica, CA: RAND Corporation, 2018. https://www.rand.org/pubs/research_reports/RR2237.html. Also available in print form.